Dr. Zu received his M.D. in clinical medicine from the Jilin Medical College of Beihua University in Jilin City, China. He then earned a Ph.D. in immunology and pathology from the Kyoto University School of Medicine, in Kyoto, Japan. In 1993, Dr. Zu attended the University of Connecticut Health Center as a postdoctoral fellow and later remained there as an assistant professor. He then spent six years in clinical pathology training at New York University, followed by the hematopathology fellowship at the National Cancer Institute of the National Institutes of Health. 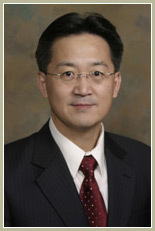 Dr. Zu joined the Department of Pathology and Genomic Medicine at Houston Methodist Hospital in 2004. He currently serves as the Medical Director of the Hematopathology Section in the Department of Pathology and Genomic Medicine at Houston Methodist Hospital, and is Professor of Pathology and Laboratory Medicine at the Weill Cornell Medical College of Cornell University. In addition to his clinical responsibilities, Dr. Zu is also the Director of the Cancer Pathology research laboratory at the Houston Methodist Research Institute. These combined positions enable him to address clinically driven questions and allow him the opportunity to immediately improve disease diagnosis and/or treatment. As a physician-scientist, Dr. Zu has pioneered the translation of the oligonucleotide aptamers and nanotechnology into clinical applications, and his research is currently funded by multiple NIH and CPRIT grants.